Upon choosing three of director, Sofia Coppola’s, films, I found a way to also connect the different films. 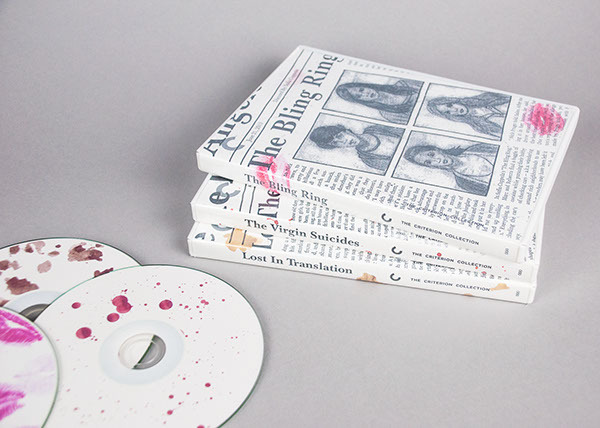 The Bling Ring, Lost in Translation, and The Virgin Suicides all share one thing in common, the media. 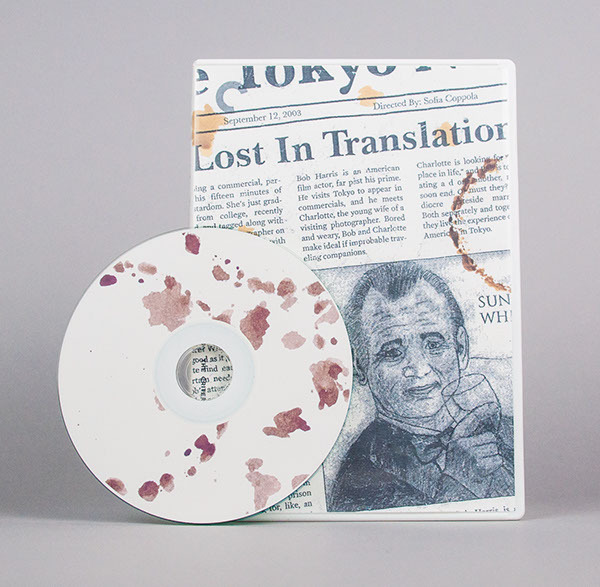 With this connection, I chose to transform each DVD cover into a newspaper with illustrations of scenes or characters from the films. 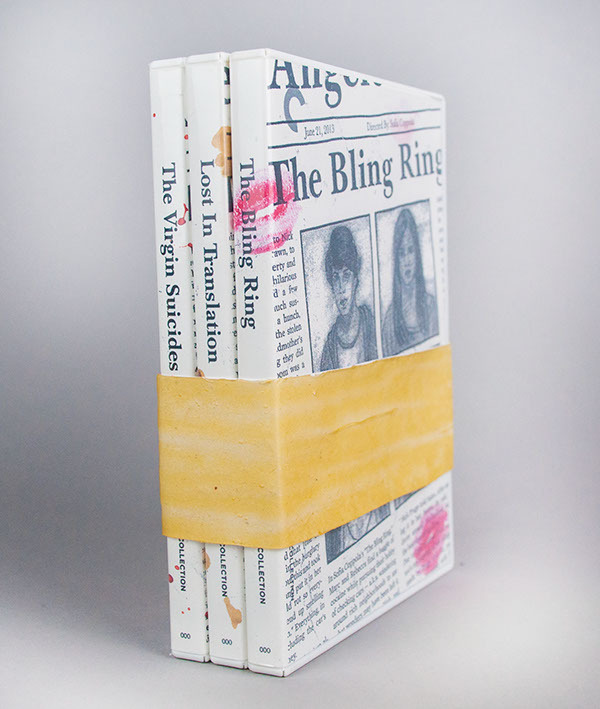 The belly band is made out of liquid latex to resemble a newspaper held together by a rubber-band.